Find your Steca at the best price in our shop. The business STECA offers inverters with the network system coolcept recognized for their cooling performance via the laboratory test photon. These inverters have extensive operating range MPPT. 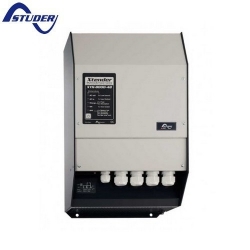 The fact that there is no transformer inverters STECA are extremements light. STECA also manufactures inverters for remote sites and a charge controller for battery. STECA regulators can operate with our solar panels, especially with the option MPPT (controller fits the panel voltage in accordance with its production). These STECA MPPT controllers adapt perfectly to all types of solar panels. Buy your XTENDER inverter XTS 1200-24 for off grid, at the best prices online. Buy your XTENDER inverter XTS 1400-48 for off grid, at the best prices online. Buy your inverter XTENDER XTM 1500-12 for off-grid installation, at the best prices online. Buy your XTENDER inverter XTM 2400-24 for off grid site, at the best price online. Buy your XTENDER inverter XTM 2600-48 for off-grid, at the best price exclusively online. 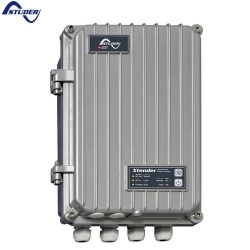 Buy your XTENDER inverter XTM 2000-12 for off grid site, at the best price online. Buy your XTENDER inverter XTM 3500-24 for off-grid, at the best price online. 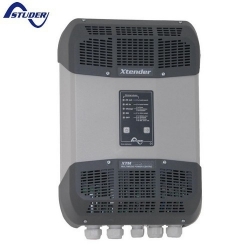 Buy your XTENDER inverter XTM 4000-48 for off-grid, only the best price online. Buy your XTENDER inverter XTH 3000-12 for off only the best price online. Buy your inverter XTENDER XTH 5000-24 for off grid system at the best price online. Buy your XTENDER inverter XTH 6000-48 for off only the best price online.